I bought a dodgy looking plastic photo frame a few weeks ago and since it's rained all day, I decided to get my fingers working. 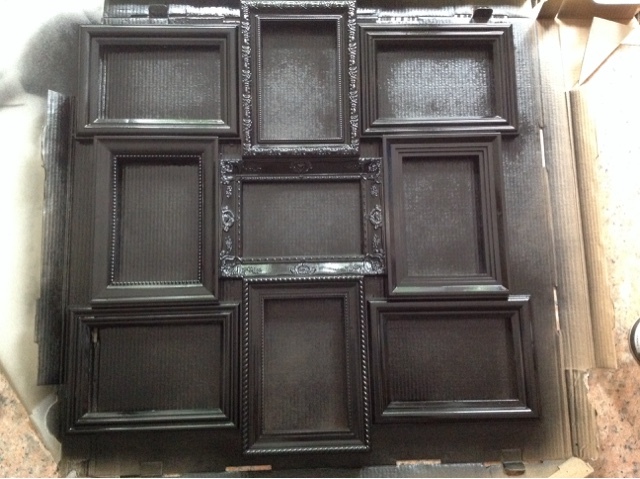 The frame was sprayed black with simple acrylic paint and left to dry. 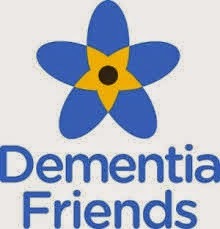 Great opportunity to have a quick brew. 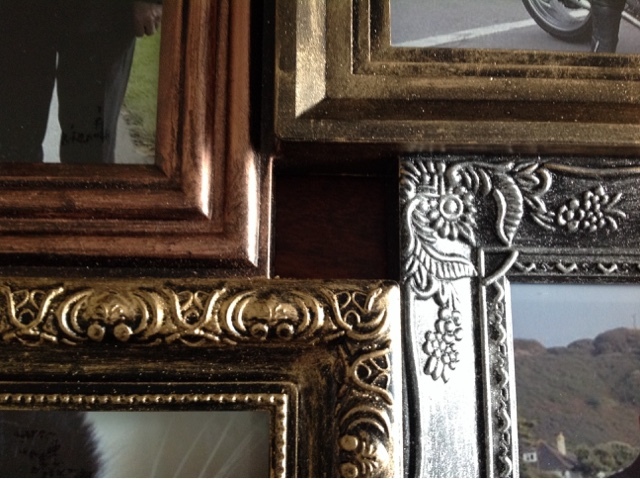 Then I rubbed treasure gold gilding wax onto each of the frames. I used gold, silver and copper. 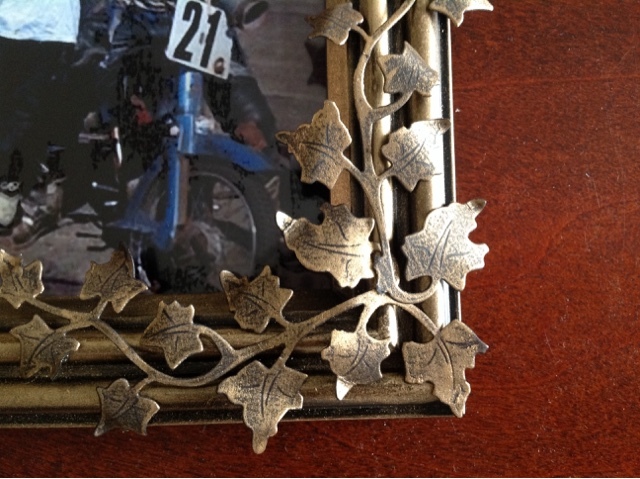 The cuttlebug was used to create a few embellishments. These were cut out using black card and the rubbed with the gilding wax. 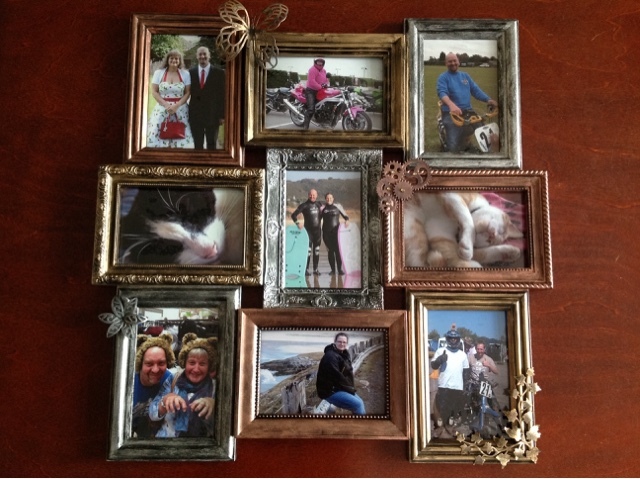 I used silicone gel to attach each embellishment to the frame. I then printed out some of our photos from the past few years. Today saw me crack out the inks and stamps. I made this card for my fairy godmother..... Every girl should have one! 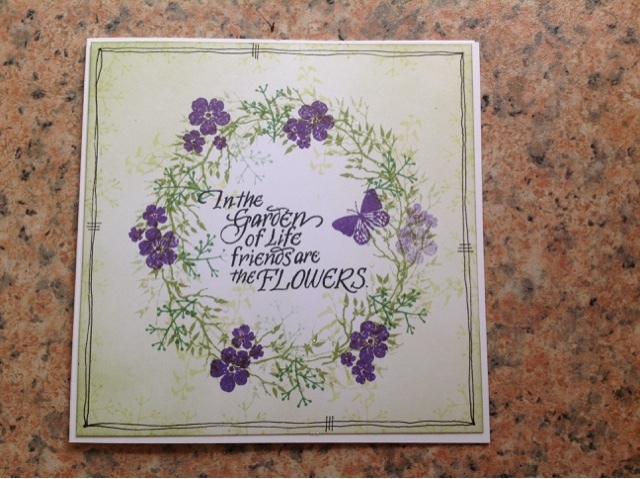 I used distress inks and card-io majestix stamps with a little glitter glue to finish. I am planning to make this years Christmas cards with card-io stamps. They are really pretty and so easy to use. It's the summer holidays so I need to start and think about what to do with the little kilner jars I have acquired. 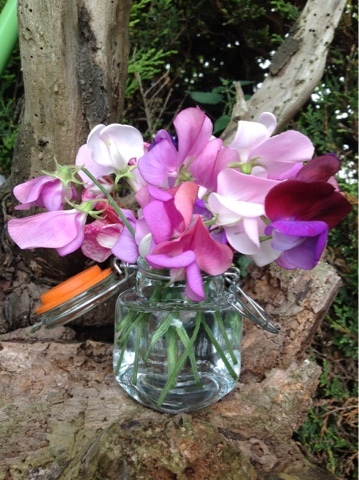 Our sweet peas look fantastic sat in one of the smallest kilner jars. 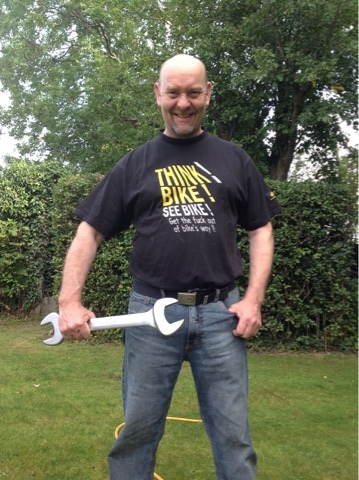 So the purchase of a new bike means the Walker household is being taken over by keys! I have been considering a key hanger for a while and today I created one. The canvas board is from The Range. I have used several different coloured gilding wax from creative expressions and Treasure Gold. 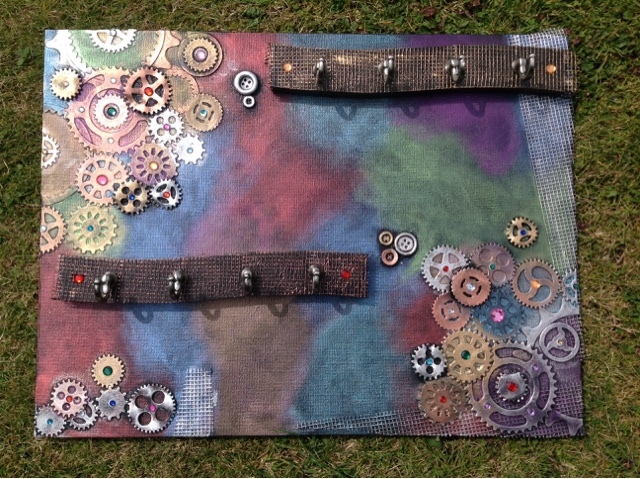 The cogs have been cut using my cuttlebug, spellbinder and X Cut dies. The photo doesn't do it any justice. It looks great and keeps all my keys handy.